“The tour of Andalucía arranged individually for me by Just Explore was excellent. In each of the cities visited the hotels were of a high standard and were located centrally, with all the major sites within easy walking distance. 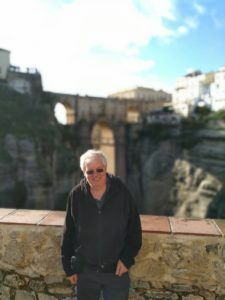 The sight seeing and food tours included, some with my own guide, provided good insight into the history and culture of Andalucía. I feel I have acquired a good knowledge of this region of Spain and I am now interested in investigating other regions of Spain with Just Explore”.